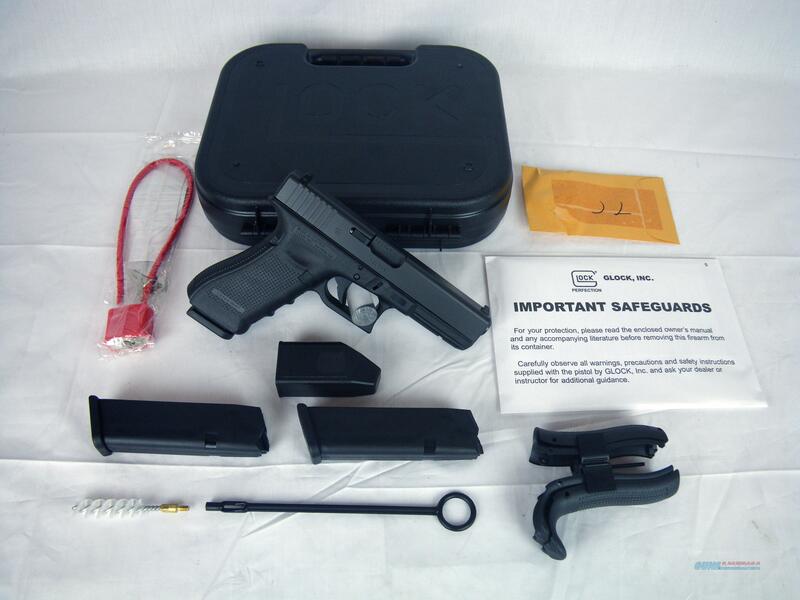 Description: You are bidding on a new Glock 31 Gen4 in .357 Sig with a 4.5" barrel. The Glock 31 Gen4, in .357, introduces revolutionary design changes to the pistol that's been the optimum solution for those seeking high muzzle velocity and superior precision in a reliable, yet lightweight, pistol with large magazine capacity. The Modular Back Strap design lets you instantly customize its grip to adapt to an individual shooter's hand size. The surface of the frame employs the new scientifically designed, real-world-tested, Gen4 rough textured technology. Internally, the new Glock dual recoil spring assembly substantially increases the life of the system. A reversible enlarged magazine catch, changeable in seconds, accommodates left or right-handed operators. The G31 Gen4 .357 retains the Glock accessory rail for your attachments. Displayed images are stock photos. Any questions please feel free to ask (our phone number is in the additional information tab above).